Are you looking to bolster your business, specifically in the security alarm and monitoring industry? People’s possessions and homes will always need protection from those who wish to do harm. This makes the security alarm industry somewhat recession proof, so it may actually be one of the better markets to invest in. 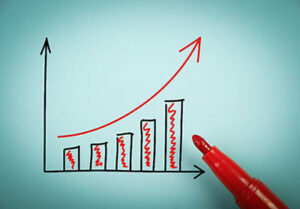 There are a couple different ways to grow your business in this industry. All paths will take dedication, time, resources and financing. There are a couple different ways to grow your business in this industry. All paths will take dedication, time, resources and, of course, adequate financing and funding to facilitate company growth. A relatively quick path to growing your alarm company is to find someone who is selling their business, whether it is someone who is retiring or is just looking for a new challenge. Purchasing an existing company with established accounts can be a quick way to ramp up your own business. There will already be employees and processes in place, as well as a reputation within the marketplace. And probably most important, there will already be paying customers. While this may increase the size of your business in a short period of time, it may take a longer stretch of time to unify the organization and put your own stamp on the company you’ve purchased, if that is something that is important to you. This is a variation on buying an entire company. 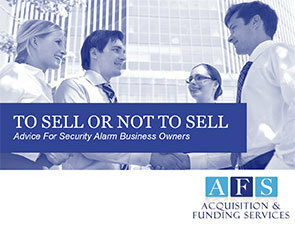 Some people may not wish to sell their whole alarm business, but instead, just some or all of their client accounts. There are any number of reasons they may be doing this, but the thing to keep in mind is that buying accounts may be a tremendous opportunity for you to take on existing, paying clients, and fold them into your already established company. While consulting is not a consistent service we can provide due to time constraints, AFS does sometimes provides hourly consulting services to those who are looking for information on how to purchase an existing security alarm company or start their own integrated security business. 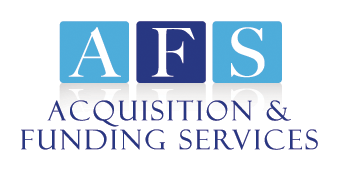 As a leader in the merger, acquisition and financing of the Security industry, AFS has helped many businesses continue to succeed in the ever changing marketplace. Please let us know if our consulting services can assist you in buying, selling or financing a security business. Contact Rory Russell today at (800) 354-3863 (personal cell with 24/7 availability) or contact him via his easy online contact form to get the conversation started. Kirschenbaum & Kirschenbaum PC, Attorneys to the alarm industry. For Standard Form Contracts, call Contract Administrator at 516 747 6700 x 312. For ‘Whats My Alarm Company Worth,’ call Jennifer Kirschenbaum at 516 747 6700 x 301. Contact Ken Kirschenbaum at Ken@KirschenbaumEsq.com 516 747 6700 x 301.